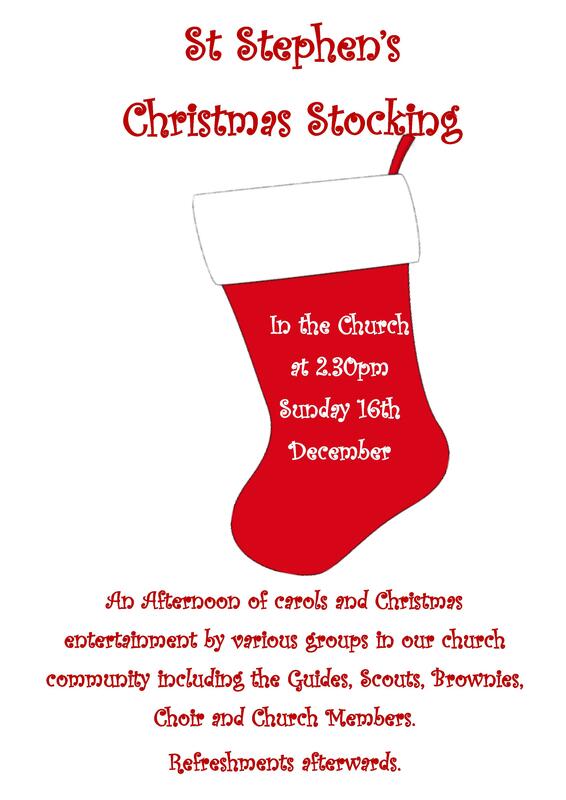 On Sunday 16th November, St Stephen’s is organising its own Christmas Stocking! Starting at 2.30pm, we will enjoy an afternoon of Carols and Christmas entertainment, by various groups in our Church community: Guides, Scouts, Brownies, Little Treasure children and toddlers, Choir and Church members. Come and join us! Refreshments will be served afterwards.